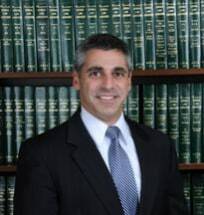 Allan E. Levin is a partner at Levin and Levin, LLP. Allan concentrates his practice in both civil and criminal litigation, with particular emphasis in the areas of personal injury law, employment law and discrimination law. Allan has successfully handled all types of personal injury claims including, but not limited to motor vehicle accidents, slip and fall accidents and construction site accidents. He also has extensive experience representing business/property owners in defense of premises liability claims on behalf of national insurance companies. Allan has represented clients before the State and Federal Trial Courts and the Massachusetts Commission Against Discrimination, as well as mediations and arbitrations. He has also handled numerous appeals in front of both the Massachusetts Appeals Court and the Appellate Division of the District Court on behalf of firm clients. Allan received his Bachelor of Science in Business Administration from Boston University School of Management in 1986 and his Juris Doctor from Boston University School of Law in 1989. He is admitted to practice in the State and Federal Courts of Massachusetts, as well as the United States Supreme Court and is a past and current member of the American Bar Association and State Bar Association.